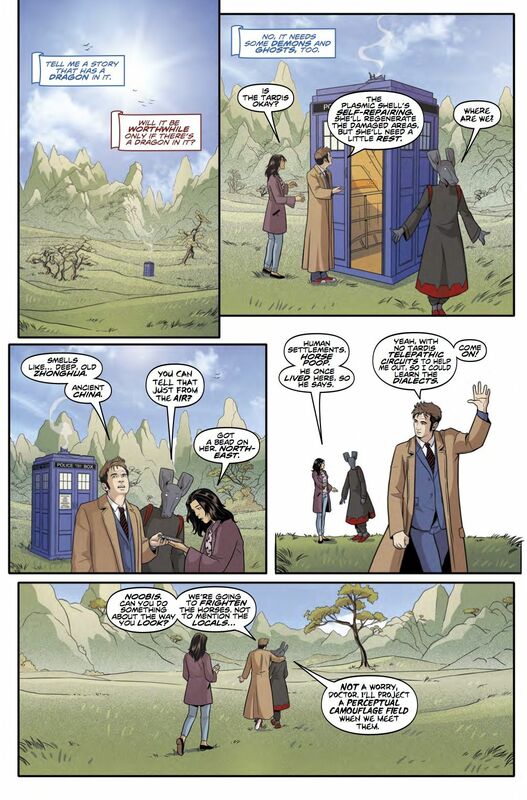 The Doctor and his current companions - artist Gabby Gonzales, her best friend Cindy Wu and a newborn Osirian called Noobis - have just barely escaped from a terrifying dreamworld. The culprit behind their nightmares has escaped with Cindy, somehow shape-shifting into a red TARDIS and disappearing into The Time Vortex! 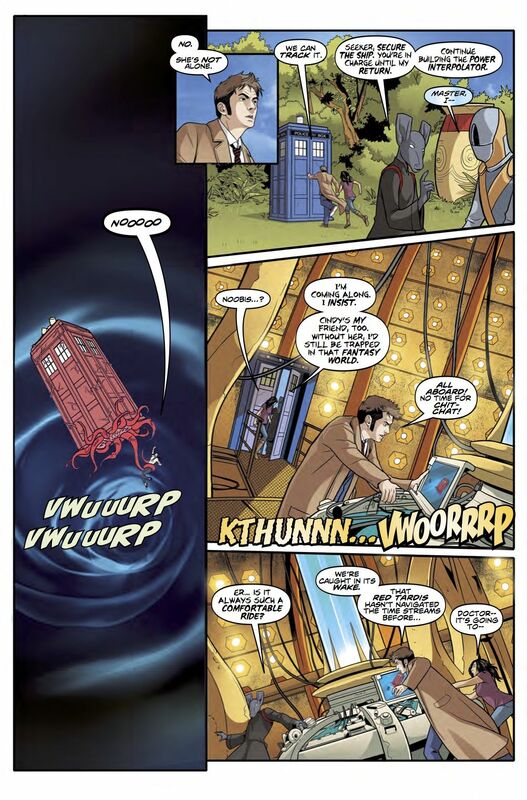 While most of Titan Comics' Doctor Who adaptations have been of the highest quality, I dare say The Tenth Doctor series is the one I have found most consistently enjoyable. It is a credit to Nick Abadzis' skill as a writer and researcher of the series lore that he can off-offhandedly solve a trivia problem that has vexed Whovians (i.e. 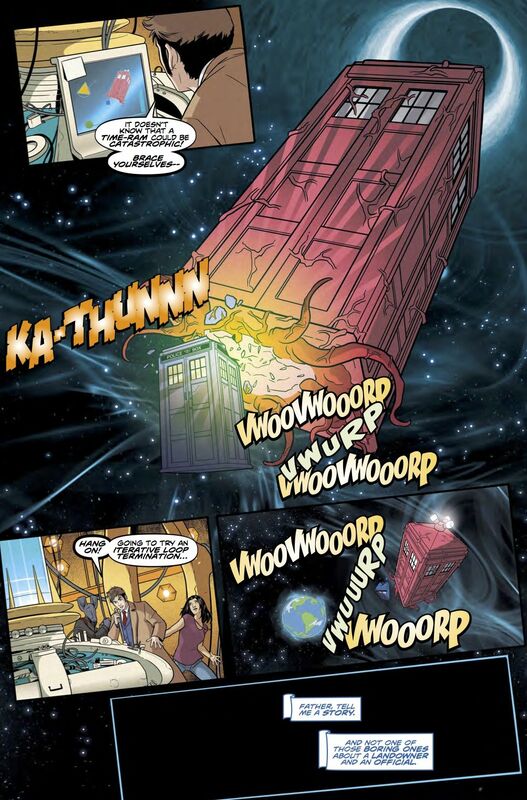 the matter of how The Third Doctor claimed to speak several Chinese dialects when the TARDIS allows him to speak any language) with a mere throwaway line while still spinning an intricate and enjoyable story. 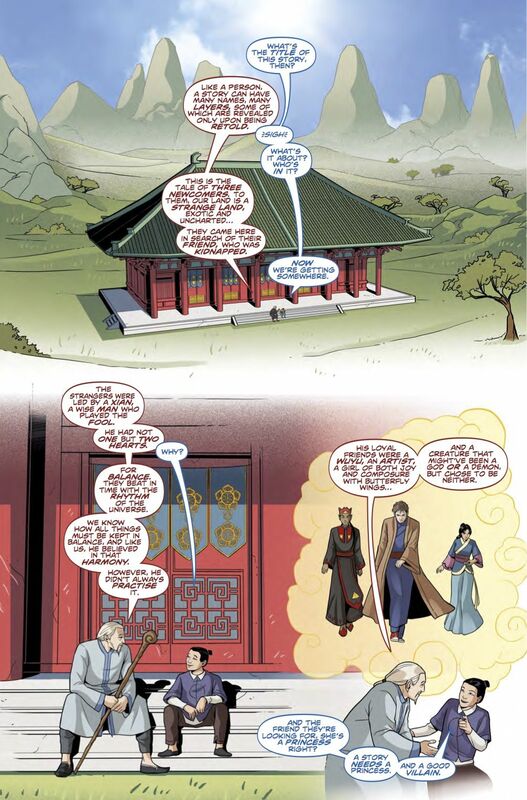 Coupled with the excellent artwork of Giorgia Sposito and Arianna Florean, this first chapter of Sharper Than A Serpent's Tooth reminds me of some of the stories based on Chinese and Japanese mythology which appeared in Neil Gaiman's Sandman. This is due not only to the masterful use of the setting and the framing device of a teacher telling a student a story but the shifts in the art style as we see the tale unfold as it will be written down later. This is a fantastic book that will be a hit with both fans of the TV series and all lovers of quality comics. Doctor Who: The Tenth Doctor: Year Three #3 releases on March 15, 2017.